Because the Gainward Ultra/2100 is not a high-end board and has only 128 MB of RAM, the combined setting of 4x AA and 8x AF was not used during testing in this review. Lock On: Modern Air Combat is benchmarked using the MiG-29 Intercept demo. While SimHQ tries to configure all games used in its benchmark suite with their highest settings, LOMAC has proven itself to be too demanding even with the fastest test systems currently available, so several settings (water, for example) were lowered to avoid unacceptable performance throughout all testing. The Intercept demo was ran until the three minute mark. For a flight simulation, LOMAC scales well with resolution increases and the fill rate demands such increases place upon the graphics card. Without AA or AF the average frame rate drops by almost 50% across the tested resolutions, and the highest playable setting is 1280×960. Once either anti-aliasing or anisotropic filtering are used, only 1024×768 allows for acceptable performance, though the latter may still be too slow for certain gamers to enjoy. Gamers intent on playing LOMAC with quality settings enabled will have to look elsewhere. Microsoft’s Flight Simulator 2004 is tested using a dusk flight over Hong Kong, with the external camera view positioned from behind. All game options were placed at their highest setting except for Ground Scenery Casts Shadows, which was disabled. Flight Simulator 2004 appeared to be largely CPU-limited in our previous testing this summer, but this is definitely not the case with the Ultra/2100 running on a Athlon 64 3800+. While the game is still playable at 1600×1200, it is interesting to see a far greater performance loss between the resolutions than what the GeForce 6800 GT displayed. Anti-aliasing also incurs a steeper penalty than improved texture filtering, and neither setting gives a playable frame rate at higher resolutions. 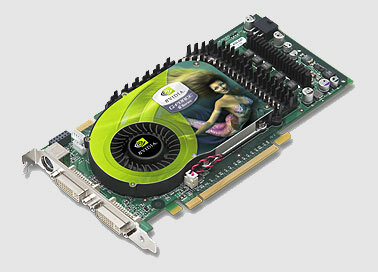 Performance, however, can be increased by using less demanding settings within FS: 2004 itself. 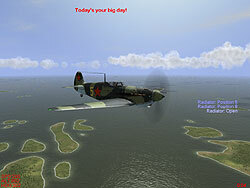 IL-2: Sturmovik Forgotten Battles – Aces Expansion Pack is tested in OpenGL mode rather than D3D so that the landscape option of perfect can be made available. Frame rate is recorded during the first two minutes of the Black Death track. IL-2 has not performed like a traditional flight simulation’s pattern of being bottlenecked by the system processor, and this certainly holds true for the Ultra/2100. Performance scaled well based on fill rate demands of the tested resolutions, and, again, the game lost considerably more frame rate due to anisotropic filtering than anti-aliasing. Based on personal preferences, a gamer might enjoy IL-2 at 1600×1200 with 4x AA, but without filtering optimizations enabled in the driver control panel above1024x768 anisotropic filtering imposes too high a frame rate penalty.